This ridiculous website is now four years old (if you’re in to linear time). 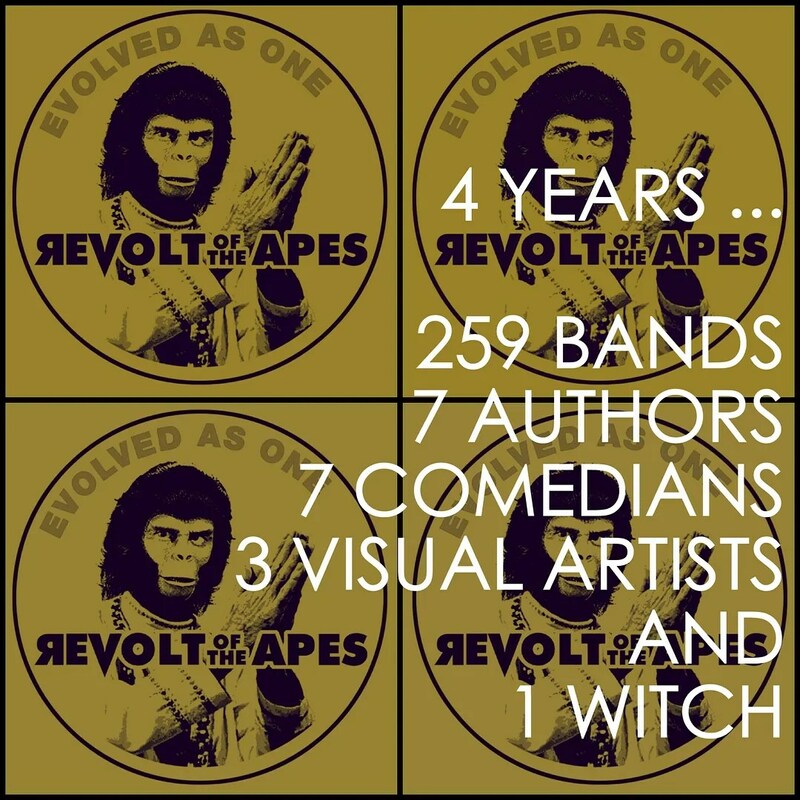 Somehow, since then, these apes have featured something like 259 bands, seven authors, seven comedians, three visual artists and one witch. I’d like to say thank you, on behalf of the group and ourselves, and I hope we’ve passed the audition. Yes please, another 40 years would be more like it ! Love receiving your stuff, brightens up chilly and cold days in the UK. That’s a lot of luminescent sand through the black light hour glass! I look forward to many more cycles.